Stax Records is an American record company known for its talented, and often integrated, rhythm and blues (R&B) musicians. Founded by Estelle Axton and her brother Jim Stewart in 1957 as Satellite Records, in 1960 the company moved into the Capitol Theater in Memphis, Tennessee. Later that year, a recording made in the new studio of Rufus and Carla Thomas’s song “Cause I Love You” gained popularity in the Memphis area which led to a series of deals giving Atlantic Records the distribution rights to future Satellite releases. The deal provided the young company with a national audience. With national distribution came the revelation that another “Satellite Records” predated the one in Memphis and Stewart and Axton changed their company’s name to Stax, a combination of the first letters of their last names. Stax records would soon attract a cadre of R&B acts to their recording studio through their “open door policy” of giving anyone a chance to prove their musical ability. Artists included The Mar-Keys, Sam and Dave, Isaac Hayes, and the instrumental group Booker T. and the MGs which would also serve as the backing band for other acts. The MGs, consisting of two black and two white musicians, were representative of the integrated mind set which existed at Stax despite its location in thoroughly segregated Memphis. The biggest star acquired through the open door policy would be Otis Redding in 1962, who would consistently hold spots on both the pop and R&B charts. Redding’s death in 1967, along with a split with Atlantic in which Stax was forced to forfeit the rights to all of the music recorded it the studio, almost destroyed the company. Under the leadership of Al Bell, Stax was able to rebuild its catalogue and reestablish itself as a strong independent label with many of its artists becoming very successful. During this period, Stax’s image began to increasingly emphasize its African American identity with acts like the gospel Staple Singers and comedian Richard Pryor. In 1972, Stax helped organize the Wattstax benefit festival in Watts, combining the company’s themes of community and music into a single event. Although popular and musically and politically significant–Rev. Jesse Jackson made his iconic "I Am Somebody" speech at a Wattsax music festival–the company found itself heavily in debt. To gain national distribution, Bell struck a deal with CBS in 1972, allowing Stax to maintain its independence. A corporate leadership change at CBS, however, put Stax in limbo again. From that point Stax’s financial situation declined until it declared bankruptcy in 1975. 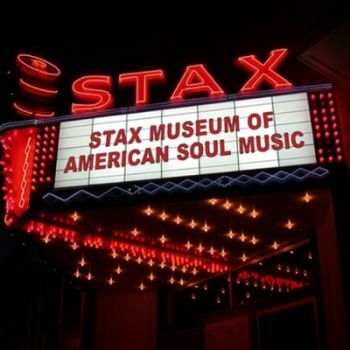 Since the end of its glory days, Stax has been reincarnated in various forms and in 2003 the Stax Museum of American Soul Music opened on the site of the original studio and regularly provides music education programs. Rob Bowman, Soulsville, U.S.A.: The Story of Stax Records (New York: Schirmer Books, 1997); Tremolo Productions, Respect Yourself: The Stax Records Story (Beverly Hills: Concord, 2007).